19-year-old skater defends title with flawless free skate. Nathan Chen does it again. On Saturday, the 19-year-old skater performed a flawless free skate to successfully defend his title and win the gold medal at the World Figure Skating Championships in Saitama, Japan. Chen, who was first after the short program, made no mistakes and landed four quadruple jumps to set a record score in the free skate with 216.02 points, finishing with a total of 323.42. 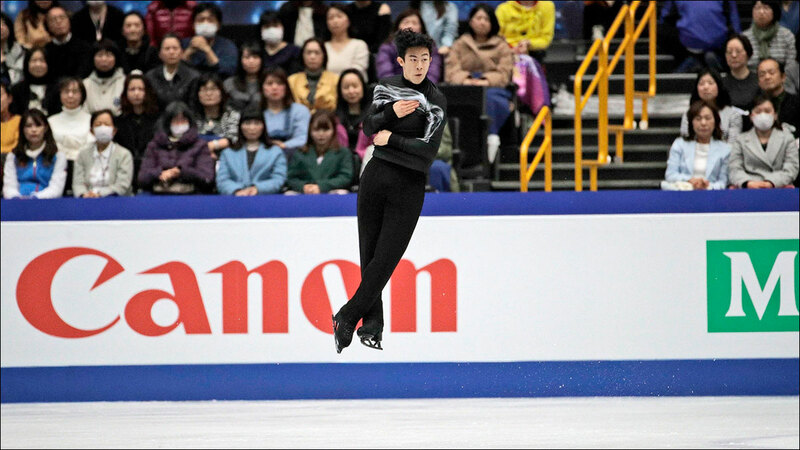 Chen, the U.S. national champion, opened his program with a quad Lutz and followed with a quad flip. He then added two quad toe loops, one in combination, to solidify his lead. "I'm proud of myself for being able to put out two good programs, the short and the long," Chen told AP. "Ultimately, I'm just happy with how this event went and I hope to have more experiences like this."